Road, driveway and car park maintenance is crucial for businesses wanting to attract new clients into their property. However, we at Thornbury know that getting a resurfacing can seem like a chore, due to the potential disruption caused. Regardless of the project you or your business needs to be completed, we offer Gloucester residents Tarmac surfacing that is efficient and hassle-free. Whether you need work completed for a domestic or commercial property, Thornbury Surfacing offers a high-quality surface for every client. Tarmac is one of the most popular surfacing methods, as the ease of installation appeals to both clients and surfacing companies. It means that the job will be completed quicker, so you can have your home or business revert back to normal as rapidly as possible. However, a quicker installation doesn’t mean that you’ll have a low-quality product. It is a particularly resilient material and is known for being long-lasting and durable. Unlike other surfacing materials, tarmac won’t crack under the weight of heavy materials or vehicles. A big bonus to residents of the UK is the fact that is weather resistant. So residents of Gloucester won’t have to worry about the average annual 961.0 mm of rainfall ruining their driveway. Thornbury Surfacing is an established business, and we have over 40 years worth of experience within the road surfacing industry. Throughout the process, we will provide you with a Contracts Manager to guide you through all the stages; from design to installation. We have experience in completing a number of projects from; playgrounds and tennis courts, to resurfacing large stretches of road. Every project is different, but we are fully capable of handling almost any work to the satisfaction of our clients. By looking at our case studies page, you’ll be able to see that our customers are all pleased with our work. 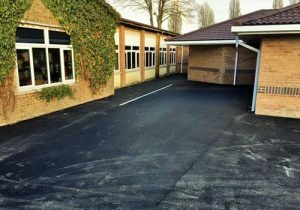 So if you’re looking for Tarmac surfacing in Gloucester, Thornbury Surfacing is tried and tested to offer clients top-quality workmanship. Feel free to get in contact with us and we’ll get you in touch with a Contract Manager who can begin assessing your surfacing needs straight away. Gloucester is a busy, thriving city with a surprisingly high level of tourism. It has featured in a number of films and media projects including; the extremely popular Harry Potter series, and the BBC hit ‘Sherlock.’ It’s not surprising then, that fans and tourists flock to the port-city to see what it has to offer. With an increase in tourism though, comes an increase in the need for reliable roads and spaces. 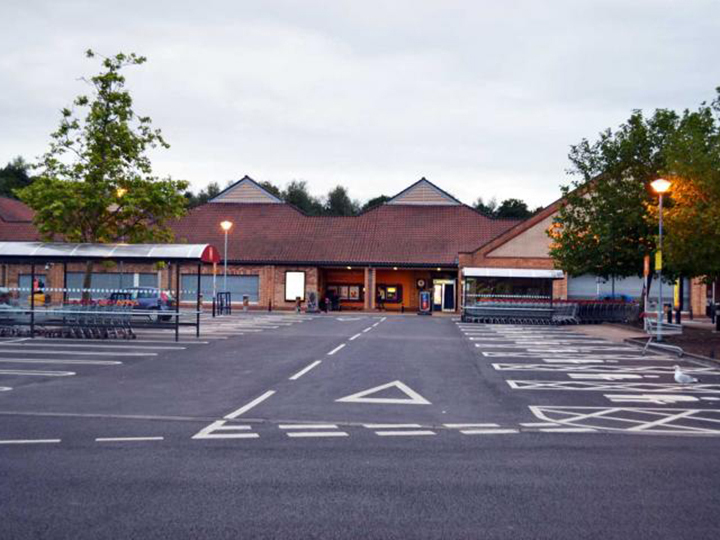 Thornbury Surfacing offers car park resurfacing to Gloucester businesses so that they can offer their customers an attractive and safe place to park their car. There are a number of important reasons as to why a business should keep their car park maintained to a high-quality. To start, it is the first thing that clients encounter when they come into your business. Your car park is your first chance at a good first impression, and blowing it by having a dodgy car park can turn away potential sales. If you want customers to want to keep coming back, a car park resurfacing can definitely help. If you have a car park that is full of potholes, there is the potential for injury. Not only could a customer being injured by something so easily preventable give your business a bad reputation, but it could also cost you thousands in law fees. Protecting yourself against that risk makes sense, and could potentially save you a lot of money in the long term. For most of our sizeable car park resurfaces, we use Tarmac. This a popular choice among clients and surfacing companies as it is quick to install and extremely durable. Being that it is fully customisable and great value for money, it means that you can design a car park that matches your business needs for a very fair price. So if you are looking for a car park resurfacing for you Gloucester business, feel free to get in touch with us. You can contact us via the phone on 01249 813435 and through email at enquiries@thornburysurfacing.co.uk. Our experts will be happy to hear from you. It has been scientifically proven that playgrounds are crucial to a child’s development. The freedom to interact with other kids helps with language, social and brain development among other things. However, when you are providing children with an area to play, you want it to be safe and durable. 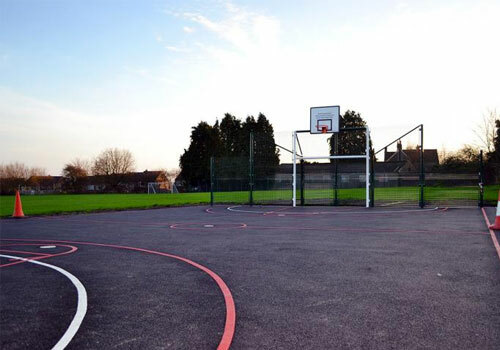 Thornbury Surfacing offers playground surfacing for Oxford schools and community spaces as it more difficult to find safer areas for children’s play in highly populated cities. Children, and some adults are clumsy by nature. They are going to end up taking a fall at one point or another. The high tech pitch material that we use for our playground surfacing creates a softer surface underfoot and allows kids to play without worrying about a major injury on a rough surface. Our suppliers also allow you to pick from a number of colours, so you can make the area look fun and attractive to children and adults alike. However, it’s not just school playgrounds that we provide surfaces for. We can install our multi-use game areas for; community play areas, leisure centre pitches, and college sports pitches. As the name suggests, they are multi-purpose and can be used for a wide variety of sports, including; football, netball, basketball, tennis and hockey. No matter what sport you are using our multi-use games area for, we guarantee you a hard-wearing area that will withstand years of high-usage. We have do have a lot of experience in specifically surfacing playgrounds for schools; with clients like St Kenya’s School and PFI schools. You can rest assured that we know what we are doing, and our happy previous customers can testify to that. Thornbury Surfacing is the best choice for your surfacing needs as we offer the best customer service possible. We will not only give you a free site survey and free quotation but after we’re done we provide a free aftercare service. We are experts with 40 years worth of experience, with a long-standing reputation for the highest quality workmanship. Throughout all stages of a project, we are able to offer you a contracts manager to guide you through the process. We care about our clients and want to deliver them the best service available. If you are looking for a playground surfacing in Oxford, please feel free to get in contact with us. We can be reached via phone at 01249 813435, or email at enquiries@thornburysurfacing.co.uk. The outside of your house or business is how new visitors or clients get their first impression of you. If you let your driveway quality fall by the wayside, you risk not only lowering your property value but also creating an unsafe area for guests to walk and drive through. 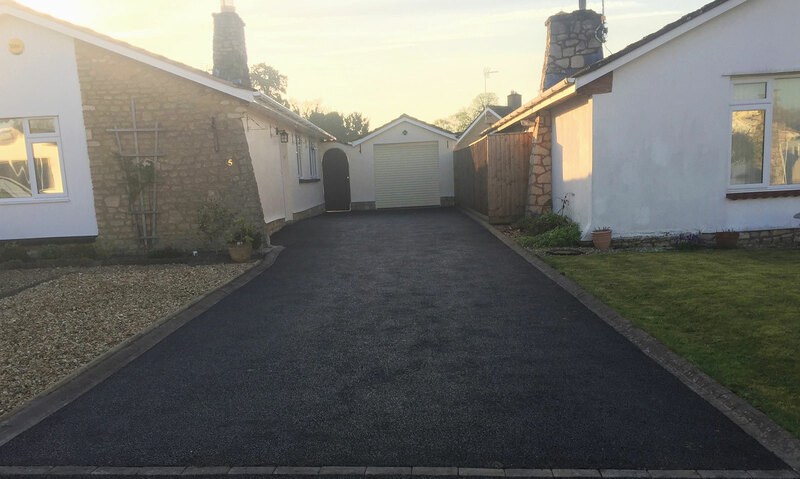 The experts at Thornbury Surfacing offer driveway surfacing to residents of a town like Taunton, so that their home can stand out amongst the rest and be safe to access for years to come. No job is too big, no job is too small. While we do complete a number of larger asphalt projects, we are very happy to be able to offer the public our expertise for their personal driveway. 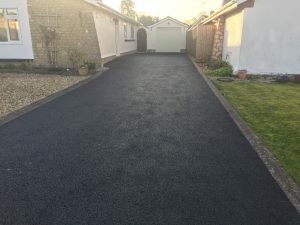 For domestic or commercial customers we are able to take on a wide variety of driveway transformation projects; ranging from taking everything apart and starting from scratch, to simply giving it a refresh with a new coating of Tarmac. We offer a broad range of finished surfaces for our clients to choose from including; Black Tarmac, Coloured Tarmac, Block Paving and Resin Bound Gravel. Our experts will be able to help you decide what option is best for you, as each material comes along with their own benefits. For instance, Resin Bound Gravel is best for our clients who have more ‘complicated’ or steep driveways. It also has the bonus of being way more low maintenance than other options. Alternatively, Block Paving driveways are aesthetically pleasing and allow you more design options. Regardless of choice, you don’t have to be stuck in sedate monotones, as our supplier offers a variety of asphalt colours for you to choose from. While there are a number of surfacing options for our clients in Taunton, no other company has the same level of strong commitment to great customer service that Thornbury Surfacing has. We haveover forty years of experience and have a well established reputation for delivering top-quality workmanship. So if you feel your home deserves driveway surfacing, Taunton clients can feel rest assured that Thornbury Surfacing will give you a smooth, stunning driveway that you can be proud of. Get in contact by emailing us at enquiries@thornburysurfacing.co.uk or phone via at 01249 813435 and we’ll be happy to help.